Nature has an uncanny knack of producing some of the most spectacular astronomical events we can witness, the likes of Solar eclipses, meteor showers and other phenomenon that never fail to impress. There is one event however, that once you witness it, it will be burnt into your memory and will stay with you for the rest of your life, this is witnessing the Aurora. Aurora is a Latin word for “Sunrise or Dawn” and in Roman mythology Aurora was the goddess of the dawn. 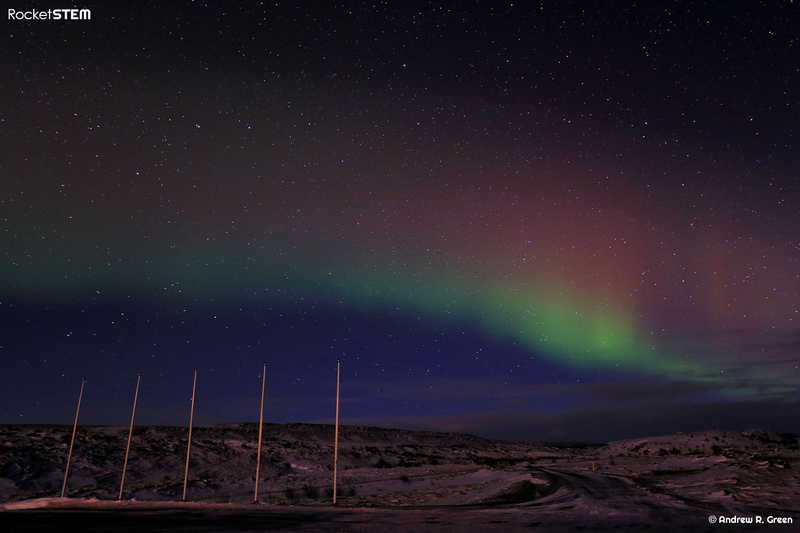 “Borealis” means pertaining to the North and “Australis” to the South. Auroral displays have been known about for thousands of years and for those cultures in the Polar regions of the Earth they have witnessed some of the most breathtaking displays seen, but the Aurora, provided conditions are right, can be seen from many lower latitude locations around the world provided conditions are right. To start to explain it we must first look at our own star, the Sun. 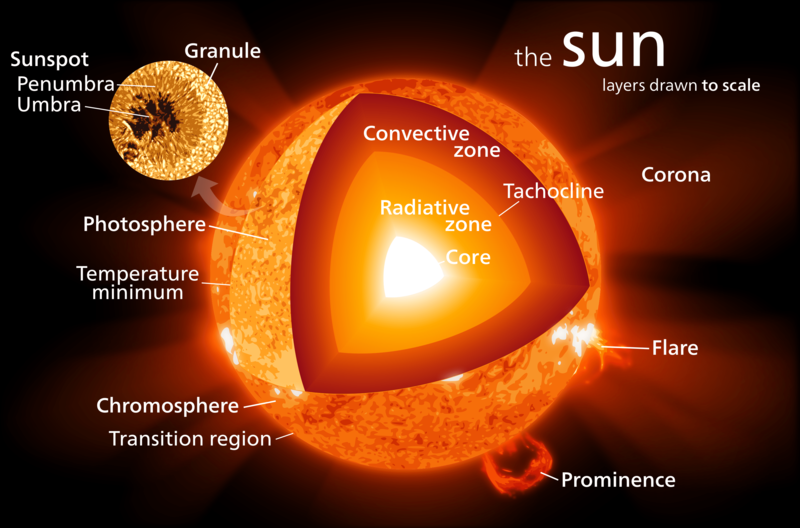 Our sun is the powerhouse at the heart of the Solar system a huge ball of gas with a nuclear furnace at its heart. Accounting for 99% of the mass of our solar system the sun is by far the largest body in our local neighbourhood. The sun itself has a diameter of about 864,938 miles and is primarily composed of Hydrogen. In the core region the Hydrogen is converted into Helium by a process called nuclear fusion the by-product of which is energy and heat. The Sun is losing approximately 4million tonnes of itself each and every second as energy and if we could turn that into power we could perhaps keep a city the size of New York or London in electricity for many 1000’s of years. The Sun is very powerful! As with the Earth and the other planets, the Sun also rotates about its axis, but in a different way to planet Earth. Here on Earth we say the earth revolves around each and every 24 hours (23h 56m4s) regardless of where you are, the sun is different! It has what we call “differential rotation”. All the matter in the Sun is in the form of gas and at high temperatures, plasma. This makes it possible for the Sun to rotate faster at its equator than it does at higher latitudes and this is where the sun begins to have an effect. At the polar regions of the sun it rotates in approximately 35 days and at the solar equator in approximately 25 days and this gives rise to distortions in the sun and its magnetic field. This rotational difference in the Sun causes its magnetic field lines to become twisted and much distorted, imagine a rubber band that has been continually spun and twisted together. Over time this distortion produces a magnetic field and includes loops that erupt from the Sun’s surface and trigger the formation of the Sun’s dramatic sunspots and solar prominences. This twisting action creates the solar dynamo and an 11-year solar cycle of magnetic activity. When these loops and sunspot magnetism break free from the suns magnetic field they send what we term the “solar wind” out into space. From time to time it heads directly towards planet Earth. The Solar wind is a stream of charged particles released from the upper atmosphere of our star and mostly consists of electrons and protons. If ejected in the right direction the solar wind will race Earthward at great speed 300 – 1000kms per second and faster in some cases. Imagine a car travelling at over a million miles an hour and you begin to get the idea. Once it reaches the Earth in 2-4 days it hits our atmosphere and interacts with our own magnetic field. 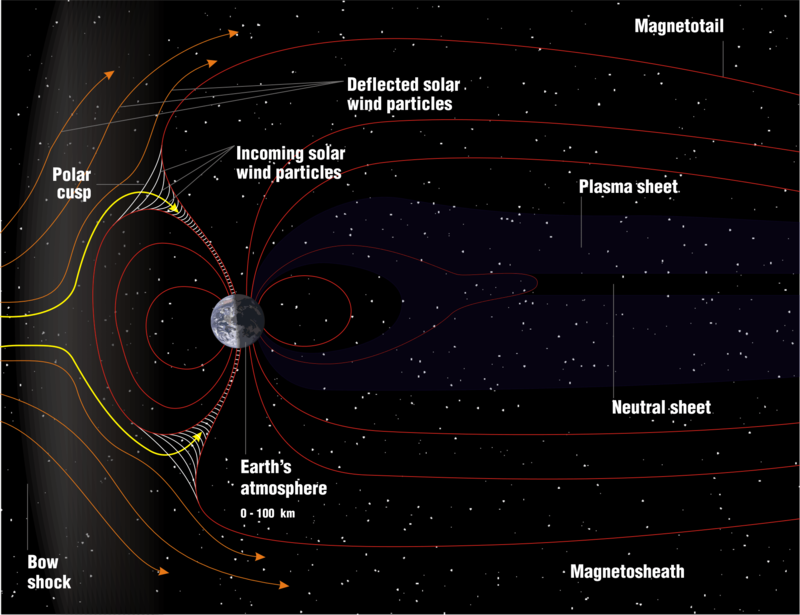 Our planet is protected by what we term its magnetosphere, and this is what initially protects us from the blast of particles. At the North Polar regions we see the “Aurora Borealis”, and the South Polar region we see the “Aurora Australis”.As the wind is first channelled past the Earth, our magnetic field then acts as a mighty bow to deflect these particles. Then these particles pass the Earth and re-connect, channelling back towards us and attracting them to the weakest portion of the Earth magnetic field around the poles. At the North Polar regions we see the “Aurora Borealis”, and the South Polar region we see the “Aurora Australis”. Our Earth has quite a complex atmosphere but is primarily made of Nitrogen and Oxygen with smaller amounts of other gases. Critical in Aurora formation though is that Nitrogen and Oxygen. In our atmosphere we actually have 2 types of Oxygen; we have atomic Oxygen and molecular Oxygen as well as the Nitrogen. What happens to create the colours we see in the Aurora, is the interaction between these gaseous atoms and the particles from the Solar wind the electrons. In essence, the electrons from the solar wind attach themselves to the orbits of the Oxygen and Nitrogen atoms in our atmosphere and excite them; this gives rise to the colours. 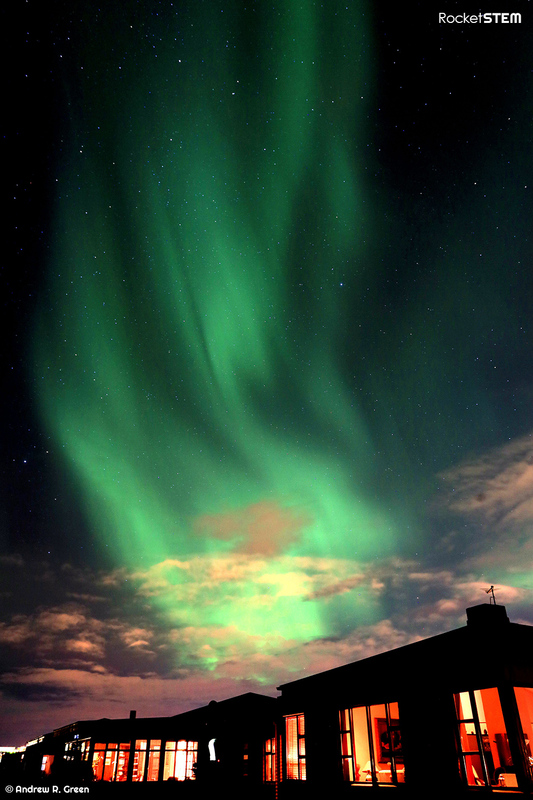 Aurora typically exhibit a prominent green colour, which the interaction with the molecular Oxygen. Atomic Oxygen often gives off a red glow and Nitrogen a pinky colour. The colour is actually the result of a photon of light being emitted from the exited molecule and then returning to what we call its ground state or lowest level of excitement. This takes place at higher altitudes normally way up in the Ionosphere. To best put yourself in a god place to view the Aurora, you need to travel into the polar regions, Alaska, and Northern Canada; Northern Russia and in Europe places like Norway and Iceland are prime aurora hunting locations. Once you find yourself in these locations in winter you then have a front row seat for natures most fantastic natural firework display. As the Earth rotates around, your location will enter what we call the Auroral oval, this is an area of activity away from the pole of the Earth, here, when your locations moves round into this zone you should see, given good clear conditions various Aurora. 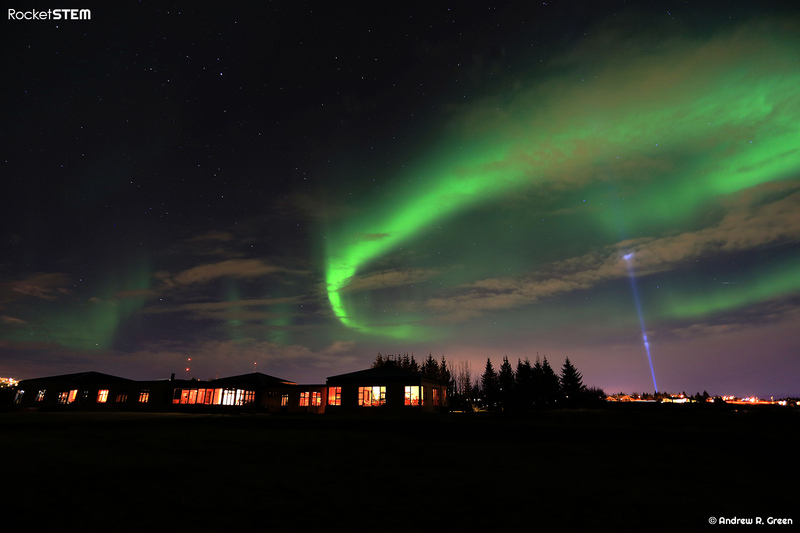 Aurora comes in many different forms, from Arcs, to Ray’s, Curtains, and others. Some Aurora is quite faint, and a good dark site will be essential to see. Other bright Aurora at the time of more solar activity can easily be seen from cities. There are of course many legends associated with the lights. In fact people left a record of aurora from around 30,000 years ago in the late Pleistocene era in France where a painting by the Cro Magnon’s depicted it, and in 2500Bc the Chinese made Aurora records too. Hesiod of Greece one of the greatest poets ever to live wrote of “Blazing Skies” and “Dragons”, and Aristotle described the lights as a “Shining Cloud” Various cultures saw the Aurora as harbingers of doom, in Northern Europe for example the lights were considered a bad omen, and warned of illness and Plague. When red aurora was seen this was said to foretell of war and the red being the “blood of battle”. In some Nordic countries the lights were seen as sunlight being reflected from the shields of the Valkyries as they carried the dead to Valhalla. In another the Aurora was referred to as “Bifrost” the path between heaven and earth. In Alaska, the Inuit feared the Aurora and carried sharp knives which they could wave at the lights dancing above them, some even believed they heard noises from the Aurora trying to communicate with them and the response of that was to whisper back. 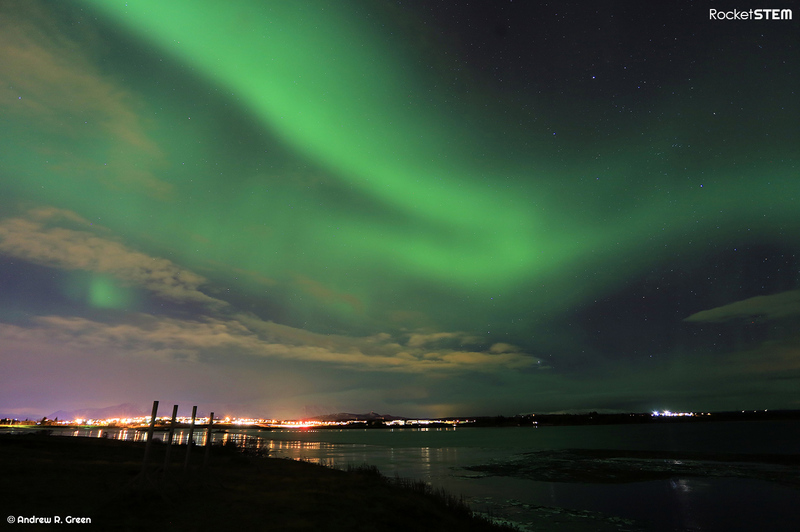 Others saw it as a good sign too; When good Aurora was seen many people believed it was a sign of a good harvest, in Scandinavia when the fisherman saw the Aurora the lights were seen as the reflection off shoals of herring fish and meant a bountiful catch would follow. The Copper Eskimo’s of Northern Canada believed the Aurora to be spirits responsible for good weather and bountiful hunting. One thing is for sure, any culture that has ever witnessed the Aurora will have its own tales to tell and they are many and very varied but always interesting and inspiring. Now though, we live in the 21st century, we know more about the Aurora then we have ever done before, and with the advent of space travel, we have in orbit, a ready platform from which to observe the lights. The International Space Station (ISS) is in prime location as it orbits the earth especially over those Polar regions we mentioned earlier. 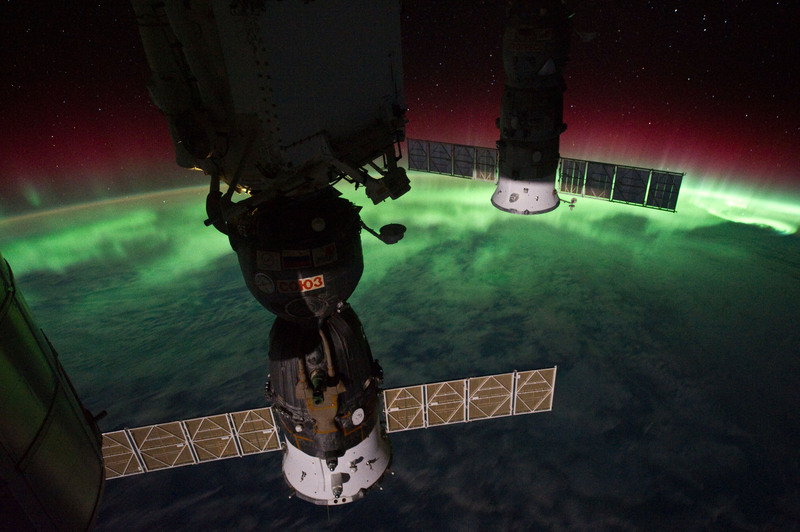 Here, in orbit, the astronauts on board the station have a perfect view of the light show. Many spectacular Aurora displays have been witnessed from this high vantage point. More recently on the ISS cameras and video cameras have all been pointed toward these displays and the resulting images from space are truly spectacular! In summary, If you ever go to a place where you have a chance of witnessing this magical of natural phenomena, I guarantee that you will be stood in awe whist watching! Please give it a go.